This article looks at how one health professional has stepped up into the realm of business entrepreneurship while keeping true to her healthcare past. We take a look at the forward thinking and passionate Dr. Rosemarie Jabbour (Chiropractor) in this chiropractic marketing case study. 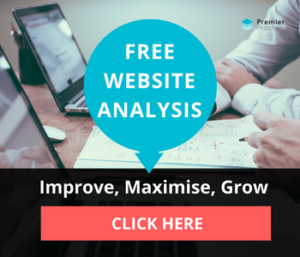 If you would like to share your own success stories please contact Premier Practice on our Write For Us page. After suffering with migraine headaches for years, Dr. Jabbour (Chiropractor) turned to chiropractic for help and what followed changed her life. Chiropractic seemed to be the only treatment that addressed her painful and often debilitating migraines. The inspiration gained from this experience led her to leave a career in medical research to pursue a new dream of becoming a natural health care professional. Dr. Jabbour (Chiropractor) merged the knowledge she had gained while working in the medical research field with her more recent chiropractic training to establish her first chiropractic clinic in Parramatta, New World Chiro, which provides bespoke care to many members. Dr. Jabbour (Chiropractor) spends her days making other people’s lives better – an honourable pursuit by any standard — and when combined with her astute business skills has allowed her to lead an uber-sucessful healthcare business that shows every possibility of continued success and growth. From being headhunted in her final year of university to adjusting Olympic level sporting professionals at the Sydney 200 Olympics, her achievements are noteworthy to say the least. Dr. Jabbour (Chiropractor) was also a recipient of the 2004 Western Sydney Young Chiropractor of the Year award in her early chiropractic career. More recently, she won the Most Outstanding Service award from the World Chiropractic Alliance. However, despite the accolades, what gives Dr. Jabbour (Chiropractor) the most gratification is delivering the best possible care to her patients. 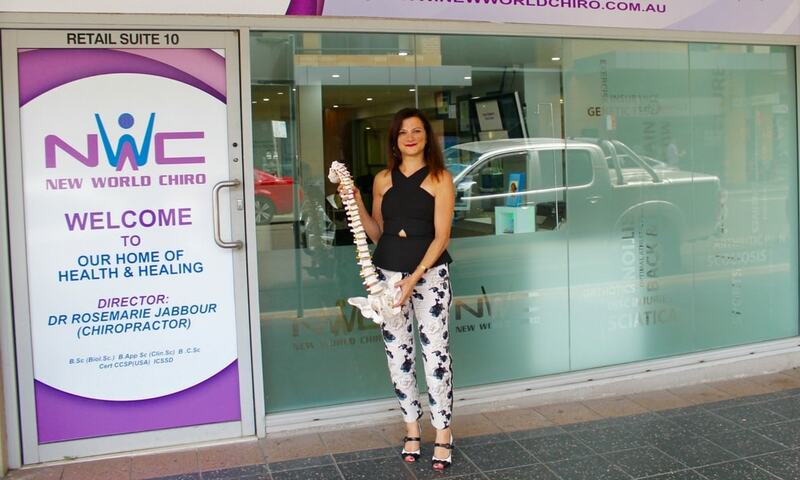 Over time, constantly practicing her ethical formula for success has turned the brand of Dr. Rosemary Jabbour (Chiropractor) and New World Chiro into a recognisable name in the Australian healthcare industry as her business continues to prosper. Dr. Jabbour (Chiropractor) says a large part of her success has been as a result of employing the right people and ensuring everyone she works with buys into the vision she has set for New World Chiro. It is a vision that Dr. Jabbour (Chiropractor) hopes will take her to the next level. Franchising New World Chiro appears to be the next goal, which will allow her to help more people to live evermore productive and fulfilling lives. She sees an organic pathway forming between major corporations and selected chiropractors where a recommended Doctor of Chiropractic educates employees on spinal health. Dr. Rosemarie Jabbour (Chiropractor) is also keen on promoting health and education via public speaking engagements, workshops and seminars to bring the benefits of chiropractic care to as many people as possible. Reaching the widest possible audience with the latest chiropractic news in both the public and corporate space aims to allow people to become more productive and to lead happier, pain-free lives, and further the personal and career goals of ever-larger numbers of Australians. All who work in the healthcare profession are noble persons, but few are more welcome than those healthcare professionals whose expertise allows them to lower pain levels of their patients and help them to become more productive employees. From migraine sufferer to profession-leading icon, Dr. Rosemarie Jabbour (Chiropractor) embodies all that is good about the health profession, and we wish her well!